Your hosts Hugh, Donna, Wee Angus live in the Wairarapa where we love the quietness and beauty of the area but also the accessibility to town/city. We enjoy the outdoors, wholesome food, good movies, sport and being self reliant. We love guests who laugh, relax and treat life as a big adventure not to be taken too seriously. Kakariki is situated in a beautiful tranquil bush setting on the Waiohine River. An ideal setting for enjoying outdoor adventures, quiet reading or just taking in the abundant bird life and stunning views. Kakariki has it's own outdoor flush toilet and shower, small kitchenette with tea and coffee, bar fridge with freeze box, (there is no toaster) queen size bed, fire box, cd player/radio, dining table with linen and towels provided. A BBQ is available as well as an outdoor table/chairs and deck. We are on alternative energy (240v) in the main house, but the cabin is powered only by a 12 v system and therefore unsuitable for electrical appliances. You can access power from the main house for charging electronic devices etc.The land provides forest walks and kayaks with gear available. We are happy to help with transport from either Greytown, Carterton or Matarawa Railway Station. Your stay can be completely independent or we can help knowledge of the area and things to do. We are 5 kilometres from Matarawa Railway Station, (pick up can be arranged) 10 kilometres from Greytown and a pleasant drive to Martinborough for vineyards, cafes, and restaurants. There is no public transport to the house. We are an hours drive from Wellington if you're keen to escape the big city. Please note the property is smoke free due to the bush setting and high fire risk. We have bee hives on the property. A BBQ is available as well as a gas ring in the cabin. Kakariki is not set up for cooking of meals but this can be done if necessary in the carport attached to the main house. Dishes requiring more than a rinse can also be done at the owners house. We are on alternative energy (240v) in the main house, but the cabin is powered only by a 12 v system and therefore unsuitable for electrical appliances. You can access power from the main house carport for charging electronic devices. One ring gas cooker only with BBQ. Hosts can access car port stove/oven if needed. Kakariki is not designed for major meal cooking. Brilliant!! We highly recommend staying here! We had a fantastic time. Beautiful place, awesome hospitality - just a great time. Was really good stay!! Lovely people! Really nice location and good service!! Would recommend to anyone and would definitely stay there again!! Thoroughly enjoyed staying at Kakariki such a peaceful spot with a stunning view, a perfect location for a bit of downtime. The accommodation super clean & spacious, and had everything we needed. 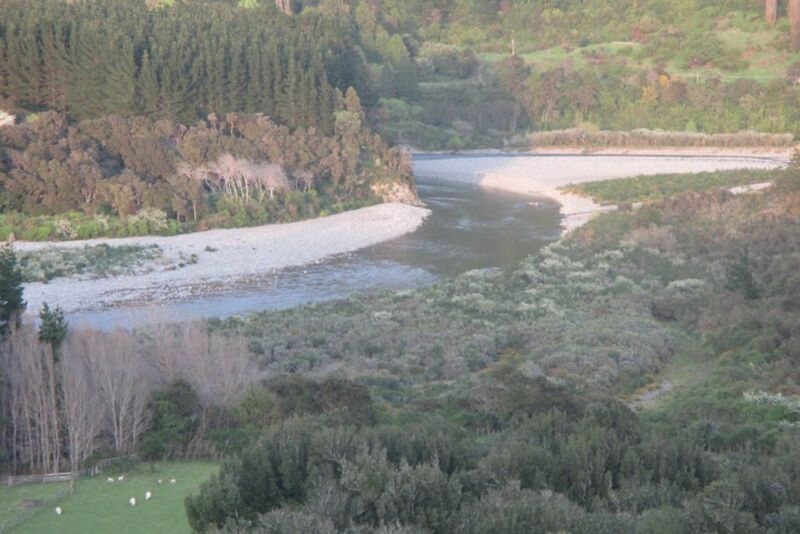 Easy access to the river for swims, and very close to SH1 etc for exploring. Thanks again Donna & Hugh for sharing your piece of paradise. Kakariki is a great location if you want to be in the country. Kakariki is a great location if you want to be in the country. It is very quiet and secluded. Being woken by birdsong is a definite plus for me and yet the property is only 12 minutes from Greytown.